A highly encouraging story on how young people remain level-headed and peaceful even during heightened tensions. The information age is changing how governments process information – including for major foreign policy decisions and even military strikes. A compilation of John Bolton’s stated views as he comes into the post of National Security Adviser. Pompeo’s remark came in response to a question from Sen. Jeanne Shaheen about whether the Trump administration was doing enough to hold Vladimir Putin’s government accountable. The US may attempt to enforce “freedom of navigation” in Arctic waters sometime in the future – similar to its efforts in the South China Sea – according to Admiral Paul Zukunft, Commandant of the US Coast Guard. Americans also expect relations with China to get worse. 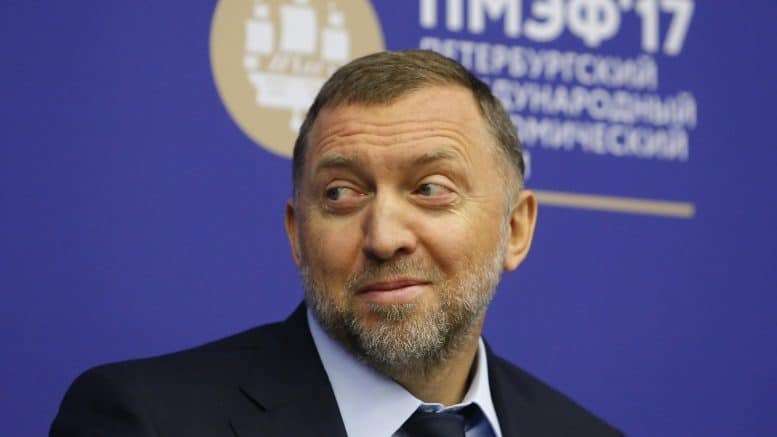 The new sanctions hit some of Russia’s wealthiest and most prominent business leaders — including metals tycoon Oleg Deripaska, state-controlled natural gas monopoly Gazprom CEO Aleksei Miller, and aluminum investor Viktor Vekselberg. Moscow City Hall page may have been removed due to a potential link with Gleb Vasilchenko, one of the Russians indicted in Robert Mueller’s investigation. The diplomats will be able to be replaced, with approval coming on a case-by-case basis – but the closed consulates will remain closed. Russia Ostracized By Washington, But What About Wall Street? While Washington ostracizes, Wall Street sells anything with a Russian attached to it. Rumors of proxy wars are enough to weaken the ruble, and that has a direct impact on shareholders of Russian companies. Medvedev hints that Russia could target specific American companies or products in its move to respond to the latest sanctions. What’s the Cost of US Sanctions on Russia? Economists studying the problem argue that Russia will be increasingly isolated now and the reduced access to capital means slower growth – and that is expensive. In seeking merely to deter enemies, the United States finds itself constantly on the back foot. The alarm bells raised by Putin’s claims are pushing Washington to resurrect some of the space-based missile shields championed by Reagan. On Russia and China’s growing military relationship. Moscow remains convinced that the US has no coherent endgame for Syria, and its continued occupation of about a third of Syrian territory, together with its allies, has no purpose other than to play the role of spoiler, analysts say. Prior to the US strike, full confirmation could not be made of whether Syria had used sarin in its attack. The purchase has raised concern among Turkey’s NATO partners. A primary document from the Ministry of Foreign Affairs. There are 61 Russian criminals living in London who have stolen around $10 billion from their home country, according to Russia’s prosecutor general, who is demanding that the money should be returned. Why Does Russia Have More Than 20 Explanations for the Salisbury Poisoning? “Russia is partnering with China – and is looking to Singapore, India, and Saudi Arabia as additional partners – in developing its Arctic regions. Recent historic docking of US aircraft carrier at Da Nang did little to shake Hanoi’s strategic embrace of Moscow. Discussions were set to become even more challenging on April 4 with the scheduled arrival of Iranian President Hassan Rouhani and the need to deal with the complicated task of finding an end-game for the conflict in Syria. Recently, 10,000 people rallied in Moldova’s capital in support of reunification with Romania. 130 city legislatures in Moldova have also called for reunification. Now, Romania’s parliament says it supports the idea… Might Europe soon lose a border? According to Moscow Times, many (if not most) soccer fans in England are too scared to attend the FIFA World Cup matches in Russia. Kyrgyzstan recently had its first peaceful (non-revolution) post-Soviet transfer of power. Now, however, there is talk of a rift forming between the old president and his protege, the new president. Six months after the election, President Sooronbai Jeenbekov has dismissed two senior security officials seen as close allies of his predecessor. Tens of thousands of Armenians on May 2 responded to protest leader Nikol Pashinian’s call for non-violent civil disobedience in the wake of the ruling party blocking his attempt to become prime minister. The capital Yerevan was paralysed. Distancing itself from Russia is difficult for Armenia to do because the country is sandwiched between the two enemies: Turkey and Azerbaijan. Without Russian military help and diplomatic support, it would be difficult for Armenia to keep the existing status quo in the occupied territories. Baku will be less hesitant to act, while Turkey even if it does not support its ally Azerbaijan militarily, will definitely back it in every other way. If politicians do stick to the constitution then Pashinian and opposition parties are 13 votes short of the 53 seats they need in the legislature to appoint their own candidate.